Browns linebacker Mychal Kendricks was indicted on Wednesday for making $1.2M off insider trading tips. Kendricks, a Cal-Berkeley graduate, paid for insider stock tips with perks like free game tickets, according to the indictment. 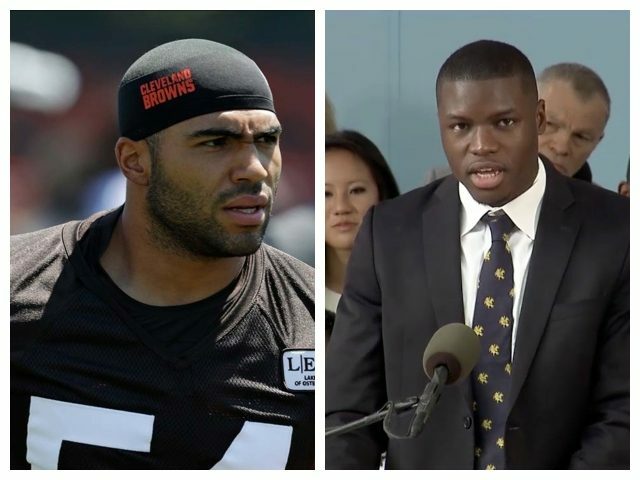 Kendricks got the tips from Damilare Sonoiki, a California investment banker and former writer for the ABC sitcom Black-ish, who was also indicted. According to the indictment, Sonoiki allegedly tipped Kendricks off about four corporate deals in 2014 before the transactions were made public. According to the indictment, Sonoiki and Kendricks often communicated in ways to avoid being caught, like texting in code and using FaceTime. Kendricks is a talented inside linebacker who was Pac-12 Defensive Player of the Year as a senior at Cal. He was picked in the second round of the 2012 draft by Philadelphia, where he spent the first six years of his career, and was part of the Eagles’ Super Bowl championship team last season. Kendricks played so well in his first three NFL seasons, he earned a second contract in 2015, signing a four-year deal with the Eagles for $29 million, with $16 million guaranteed. Due to a scheme change last year, Kendricks lost playing time, and asked for a trade after the season. The Eagles ended up releasing him on May, 22, 2018. It’s unclear if his release was connected to the insider trading investigation. Will the Browns now release him? It’s unclear, but he’s not making the trip with the team to their fourth preseason game. Kendricks claims he’s cooperated with federal officials throughout the investigatory process. It’s unclear if the consequences of his actions will lead to jail time, but they most certainly will lead to an NFL suspension.